An important question I have about the grit concept is what long term passions or goals precisely look like. 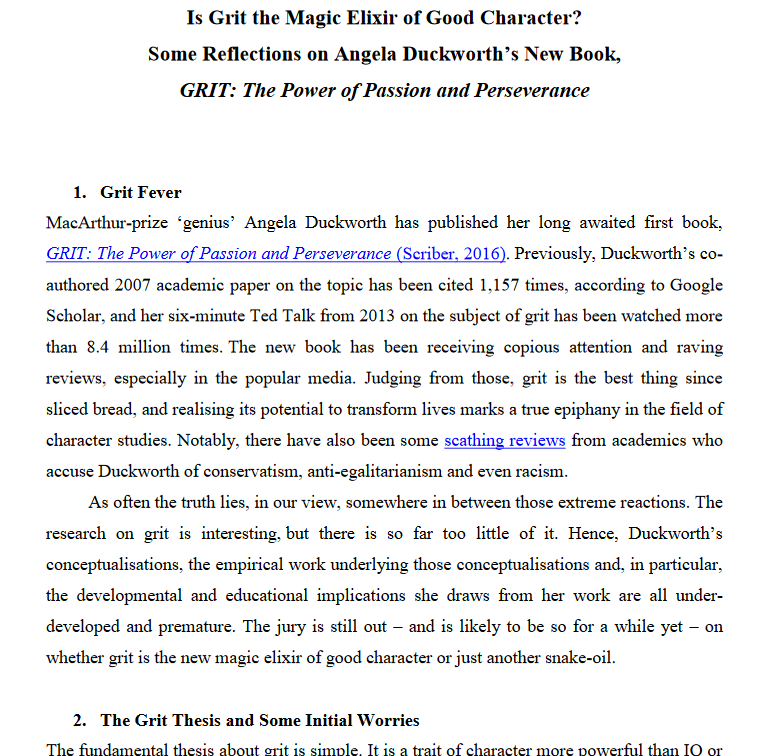 If you look at the tool with which Duckworth and her colleagues measure grit (see here), this does not become quite clear. At which level do these long term goals have to be specified? Does it matter whether they are defined in terms of achievements or in terms of learning? How narrow or specific do these goals or passions have to be? To which degree are they static or dynamic? I imagine that, as a young person, you cannot oversee how your life will evolve and that your experiences affect how you will think about what your passion or long term goals are and how they will change or evolve. Is is perhaps so that thinking about your long term goals or passions is a continuous process in which you keep refining and redefining what they are? 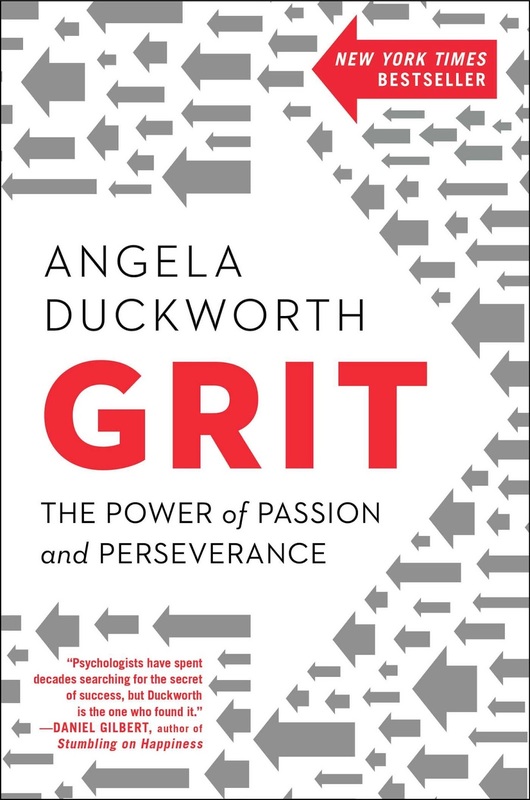 I was curious to find answers to these, and other, questions so I was interested to read that, recently, Duckworth has published a book called Grit: The Power of Passion and Perseverance which is aimed at a general public and which, as I understand, is a commercial success. Today, I came across a review of the book by professors James Arthur, Kristján Kristjánsson, and Steve Thoma. The review does not take away my concerns about Grit. 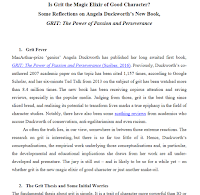 While their tone is constructive and while they do show some appreciation for the book and some interest in the grit concept, these reviewers have what they call 'qualms and queries' about "Duckworth’s conceptualizations, the empirical work underlying those conceptualizations and, in particular, the developmental and educational implications she draws from her work" and also about the way she addresses previously stated concerns about grit. Read the review here.